We all know that southern Africa is resource-rich. We also know that these resources are rarely managed well. A new study from the Open Society Initiative for Southern Africa looks at what exactly states are doing wrong. By SIMON ALLISON. When it comes to managing its natural resource bounty, southern Africa has plenty of rules – but not nearly enough enforcement. This is the headline conclusion of the Mineral Governance Barometer, a pilot project from the Open Society Initiative for Southern Africa, which examines the effectiveness of states when it comes to establishing and enforcing regulations. “There is a strong contradiction between the level of natural resources and the poverty in the region. We are trying to understand the reason why it is so difficult to get full benefit from our resources,” said Claude Kabemba, director of the Southern Africa Resource Watch, another Open Society initiative. Across the 10 countries measured – Botswana, the Democratic Republic of Congo, Madagascar, Malawi, Namibia, South Africa, Swaziland, Zambia and Zimbabwe – the Mineral Governance Barometer found that some 63% of necessary regulations were in place, which was higher than researchers had expected. However, when it came to detecting violations of these regulations, and then punishing those violators, states did poorly. Despite setting a very low bar for what counts as detection, researchers found evidence for detection of violations for just 21% of existing regulations, and only two-thirds of those violations were ever punished. In the region, South Africa was the best-performing country, receiving an aggregate mineral governance score of 77%. Surprisingly, Zimbabwe was in second place with 67%, and Botswana third with 57%. Zimbabwe’s high position reflects a weakness of the Mineral Governance Barometer: it looks at whether regulations are in place, and does not judge the quality of those regulations. Zimbabwe’s Mines and Minerals Act, for example, dates from the colonial era and is not especially suitable for 21st century commerce. Another weakness is that the Mineral Governance Barometer struggles to capture non-legal ways of implementing regulation. This effectively penalised Botswana, which emphasises co-operation and conversation to enforce its mining laws. 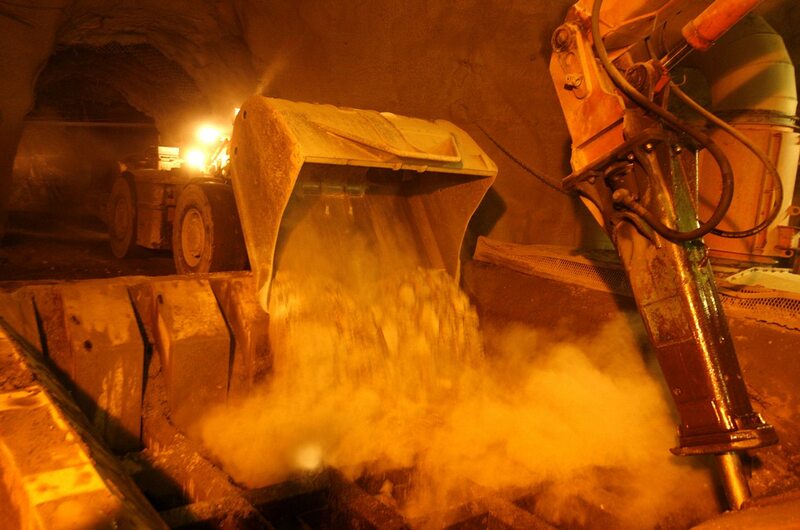 “The fact that Botswana has few examples of officially detected non-compliance and penalties imposed regarding mining regulations may be because diamonds form the backbone of the country’s economy, and therefore mining companies operate and act at high levels of due diligence and compliance,” said Nancy Kgengwenyane, the Mineral Governance Barometer’s Botswana researcher. Namibia, despite being a favourite with international investors, scored poorly overall, registering just 43%. “Namibia’s lack of mining regulations can be traced to the fact that major legislation is up to two decades old. The country has not kept up with international expectations, especially on transparency in the extractive sector. A new Minerals Act has been in the works for years, but it is unclear when it will be tabled,” said Maximilian Weylandt, the Namibia researcher.